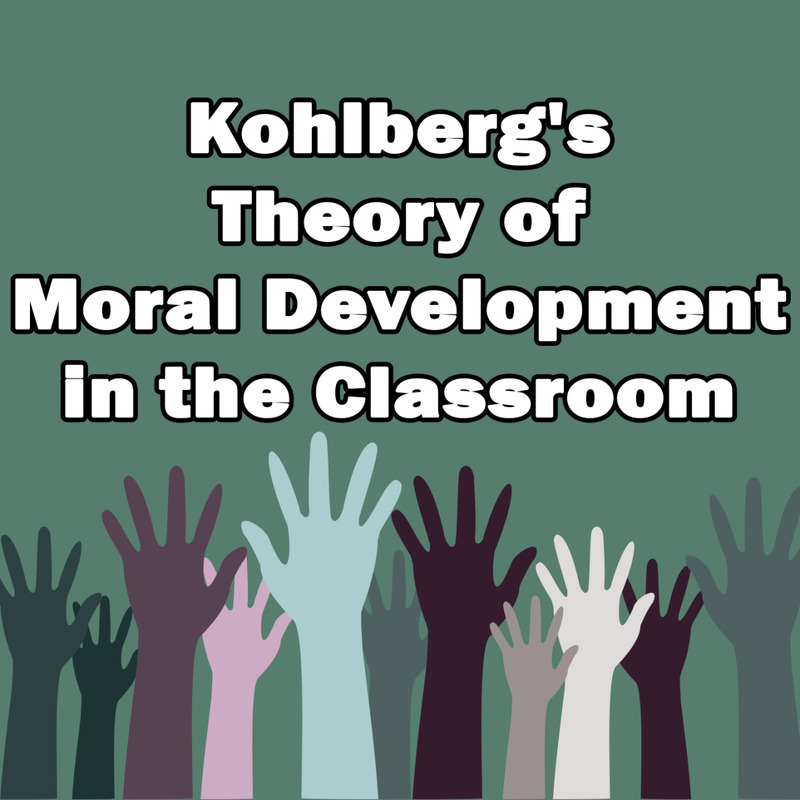 A former homeschooler, Kierstin is now homeschooling her own daughters. So, quick refresher if it's been a while since you were five - a flannel story board was probably your favorite part of kindergarten besides the rainbow parachute and pizza Fridays. 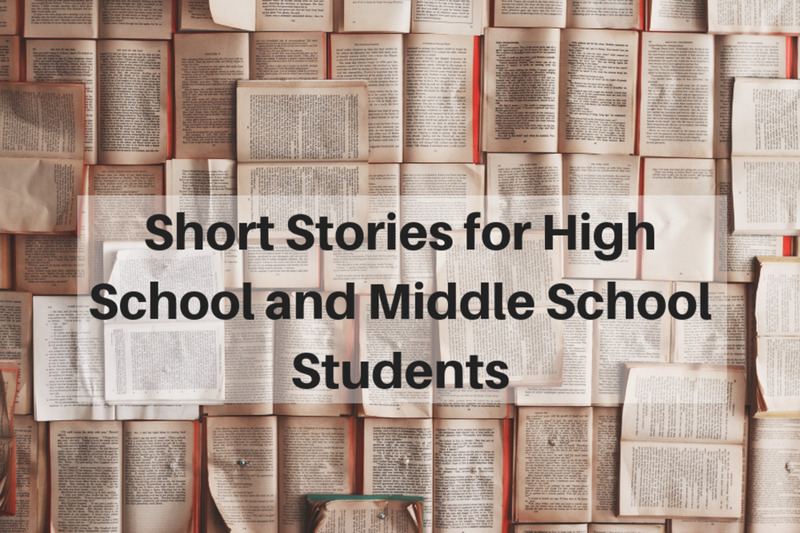 They're those large, soft, fabric covered square or rectangle boards wherein your teacher would act out stories like Jack and Jill using cutout felt pieces that clung to the board like magic. 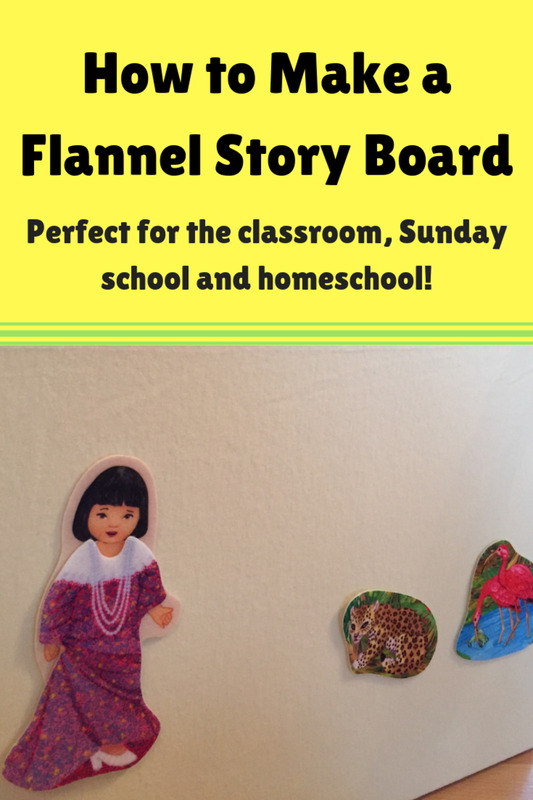 Recently, as I was surveying my daughters' homeschool activities I flashed back to my own wonderful story board, tacked up in our school room, it was just a simple piece of hanging flannel that I spent hours playing with. It was also bright blue and not exactly in sync with my current décor which is less 1990's preschool and more just-above-poverty-level Target shopping spree. Still, I really wanted to add a flannel board to my kids' routine but when I looked all over Amazon, the school specialty stores and even craft stores all I could find were bright blue or astro-turf green monstrosities that were also out of my price-range at around $40+. So I decided to make my own. Here's how I did it and how you can too! Flannel in whatever color you'd like (I went with a calming cream color). It's not hard to find flannel and you're not looking for a special kind of flannel. Just flannel. 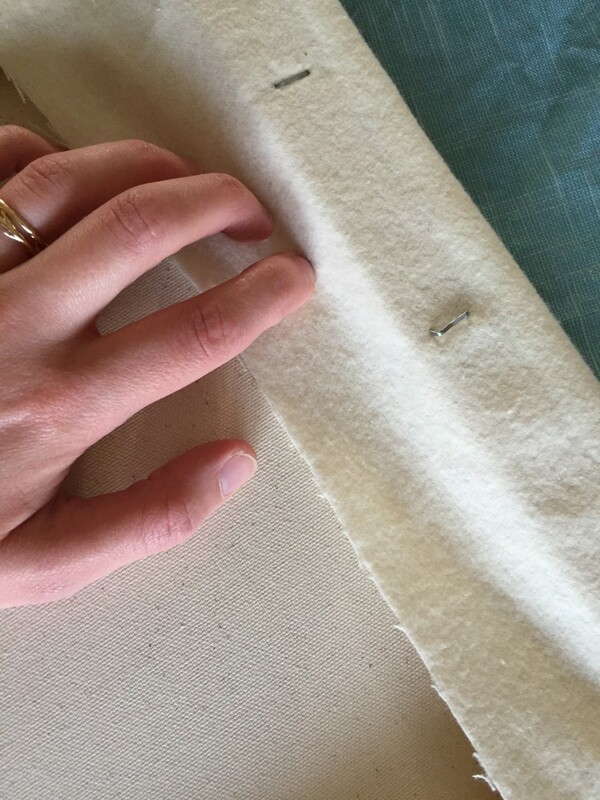 I ordered mine from the Joann Fabric website where I also found the artist's canvas and the fabric was sold by the yard, with a 2 yard minimum. 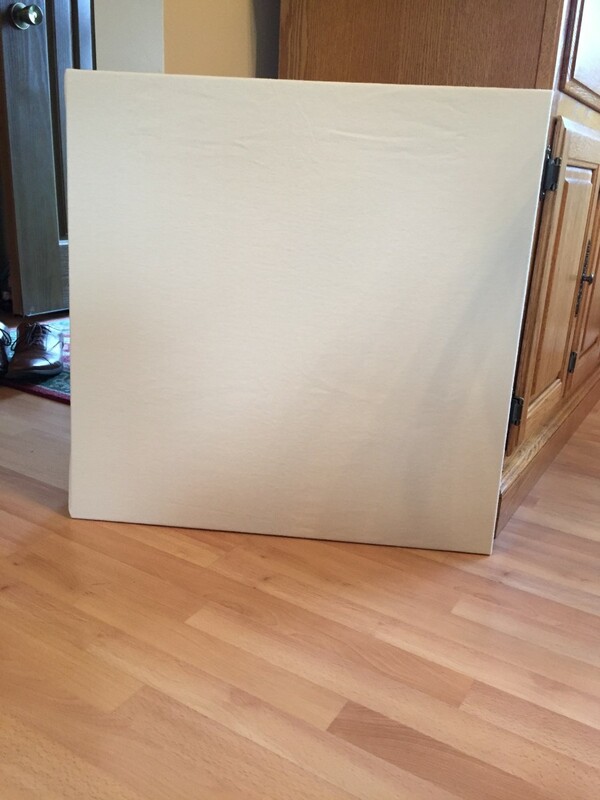 For about $6 I purchased the 2 yard minimum and it was plenty to cover a few feet of canvas. Command Velcro picture hanging hooks (optional). 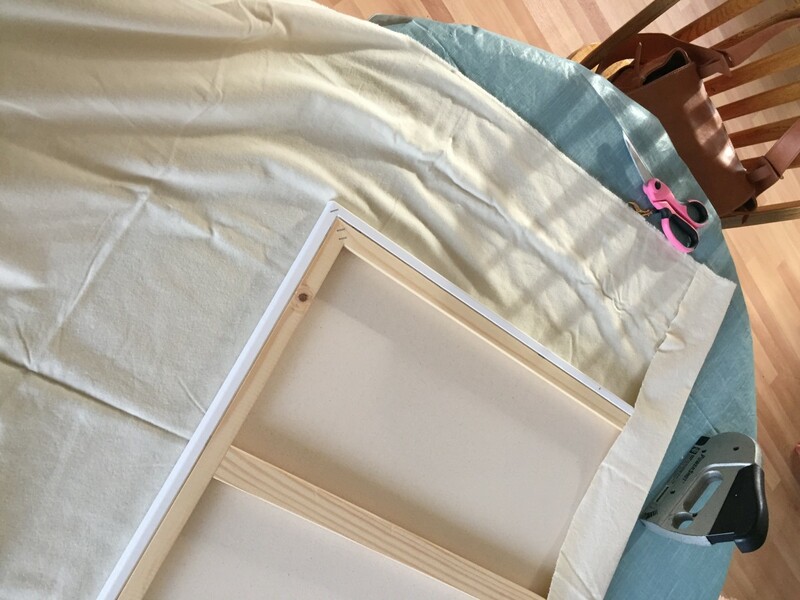 I used these to hang the finished flannel board over my daughters' table and chair set in the kitchen with a basket set on the table to store all of the felt pieces. I liked using the hooks because I can take the board down and put it back up with no effort if they want to play on the floor. If you don't want to hang the board, don't worry about this part! Cut your flannel to fit whatever canvas you've picked out. 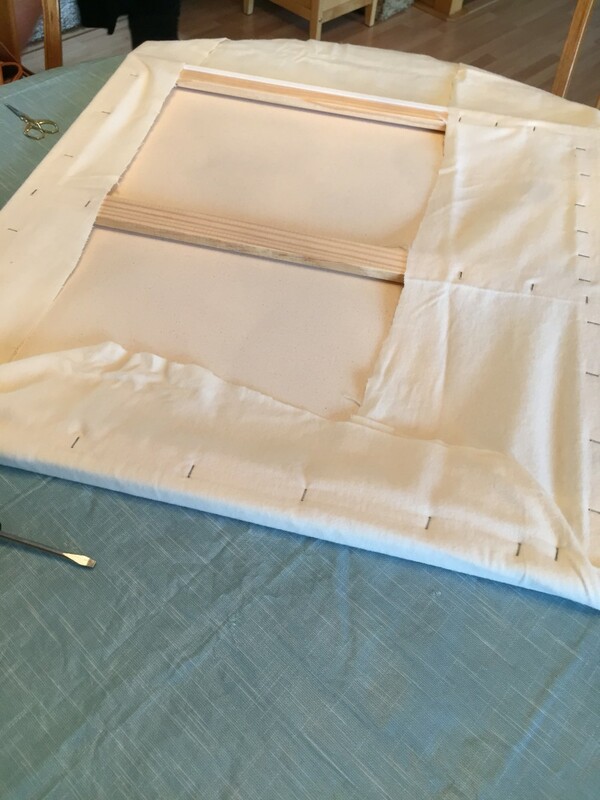 The easiest way to do this is to just smooth out your flannel on a flat surface (the floor is fine) and then to lay your canvas canvas-side down on the center and fold the fabric over one of the sides to see how much you should cut. Leave yourself at least 6-inches on each side just to play it safe. You can always trim more later! By the way, make sure your flannel has the right side facing out so your felt will stick. The right side is the fuzzy side. Once you've trimmed your flannel it's time to staple it. 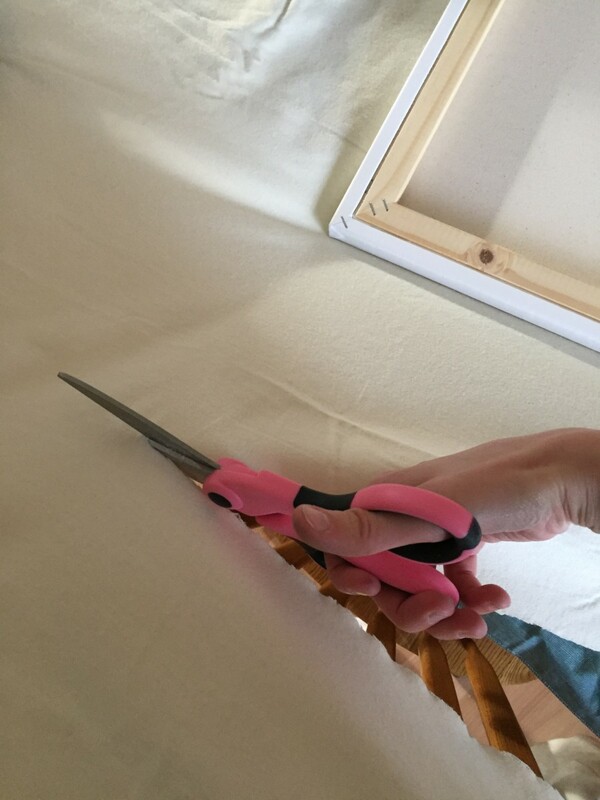 I was pretty terrified to do this so enlisted my trusty father-in-law to wield the staple gun. Truthfully, you can probably handle this but if not, find someone who can. Okay, now to the stapling - do one side at a time, pulling the flannel taut as you go so that there aren't wrinkles and the fabric isn't sagging in the front. You want it to all be flush. 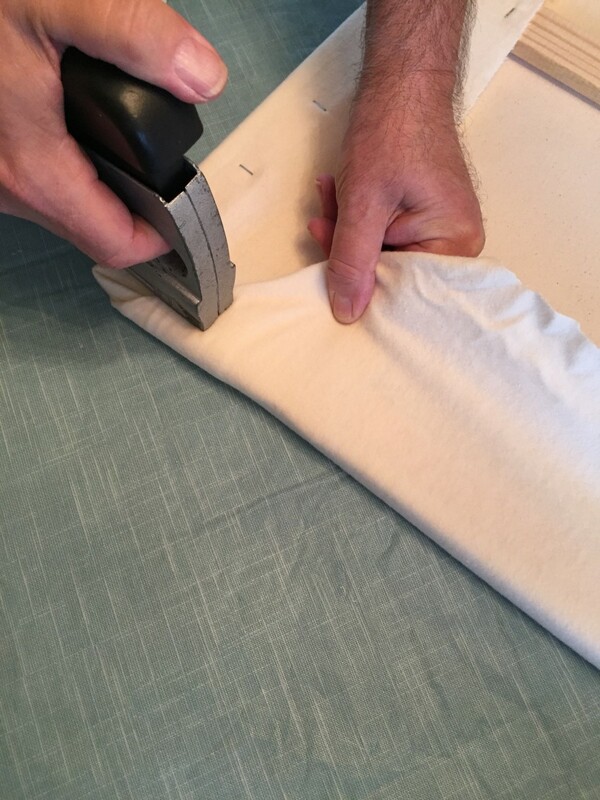 To fold the corners, just treat the flannel like wrapping paper, folding it as you would if you were wrapping a gift. 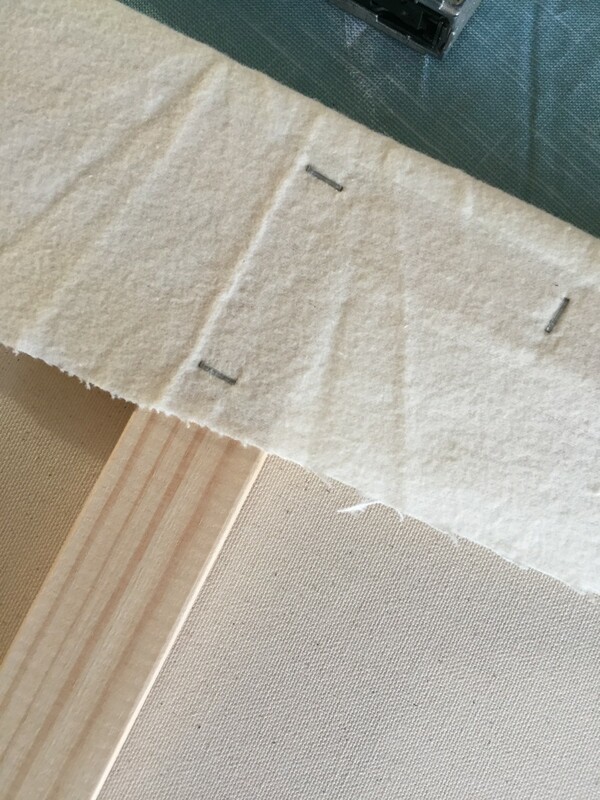 There's no magic number to how many staples you'll put in, just as many as you need to keep it adhered without any loose ends. Wow, you're done. So easy. 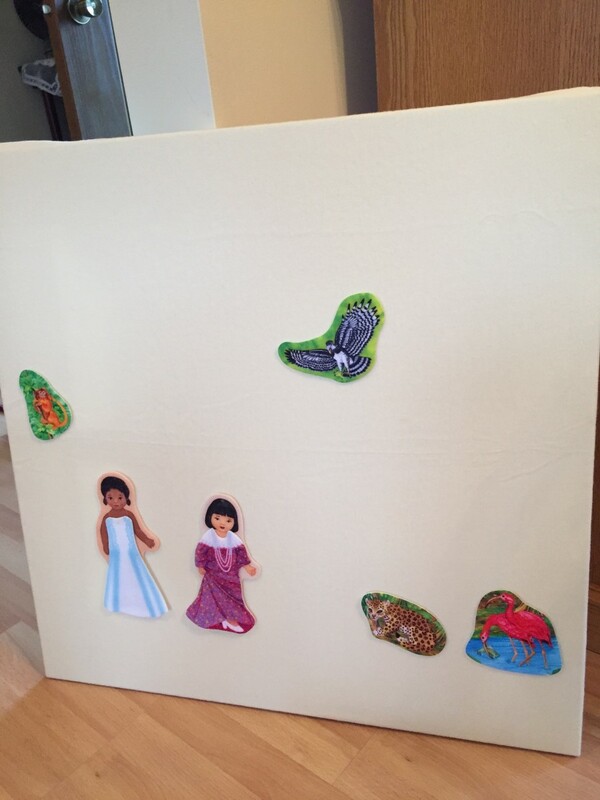 Once you have your story board completed you'll need felt pieces to use on it. You can buy premade kits like the one in my picture above, and you can make your own as well using a nice, stiff felt. I bought this stack from Amazon. These squares are small but you can use them to teach about colors, use a Sharpie to write letters on them for phonetic exercises or cut them out into different shapes.